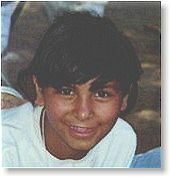 In 1993 Mari Quihuis-Sawyer, who traveled throughout Mexico years before, found a little Mexican girl to help. She started sponsoring Marisol, a five-year-old girl who lives in the village of Alamos in Sonora, Mexico. Helping support this little girl through Save the Children and FAI (Fundacion de Apoyo Infantil Sonora) added to her sense of community. Many letters went back and forth as Marisol grew up. Although, Mari had two beautiful twin boys (Adam & Jacob) during her life, she dreamed of having a little girl. Mari had terminal breast cancer - Sponsoring Marisol was Mari's way of giving something to the little girl of her dreams. 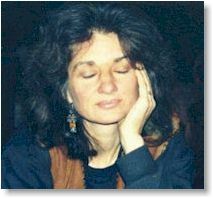 Three years later Mari passed on - Mari's husband, Tom Sawyer, continued to sponsor and write to Marisol. Through the gracious help of Luis and Anna Leyva of FAI, the next day they drove 90 miles across high desert to the village of Alamos and met Marisol’s six brothers and sister and their parents. On the way they passed a large rock formation where a 100 year-old shrine had been built to the Mother of Guadalupe. Marisol's family lives in a little government brick house about the size of a bedroom. They do all their cooking outside on an iron plate heated by wood. When they gave the encyclopedias to Marisol, she immediately shared them with her brothers and sisters. Tom said, " It was easy to see how much the books meant to them from the joy on their faces." Marisol’s mother, Tomasa, told them that her husband, Jaime, played the accordion for a living and asked if they would go and see him play at the local cantina. Of course as musicians, that was heaven for them. It turned out, Jaime had been playing the accordion since he was twelve years old. He and his group of musicians put on a performance that touched the deepest part of the Toms' hearts. The population of Alamos is about 6,000 people, mostly farming, provided that there is enough rain. The children are not only hungry physically, but mentally as well. As the two Toms' walked through the village, they started talking about things that they could do that might benefit the children. They ended on the idea of starting a library for children. Then they went to the only school in the village “Lazaro Cardenas del Rio” and met with the principal, Juan Zoilo Lopez Delapaz. Maye Corral, the head of children's services for FAI in Alamos, also attended the meeting. They found out that neither the school nor the village had a library. The nearest library was 90 miles away in Ciudad Obregon. They spoke with the principal about starting a library. He said, that the school would be happy to provide a building to house the library. At that point they decided they would start a nonprofit organization to provide books for libraries for children in Mexico and the village of Alamos would be the first project. In August 1999, they received an official letter from the school board of Alamos, Sonora, Mexico stating that board is providing a schoolroom to house the library. "The seeds that Mari planted six years ago continue to grow, helping children."